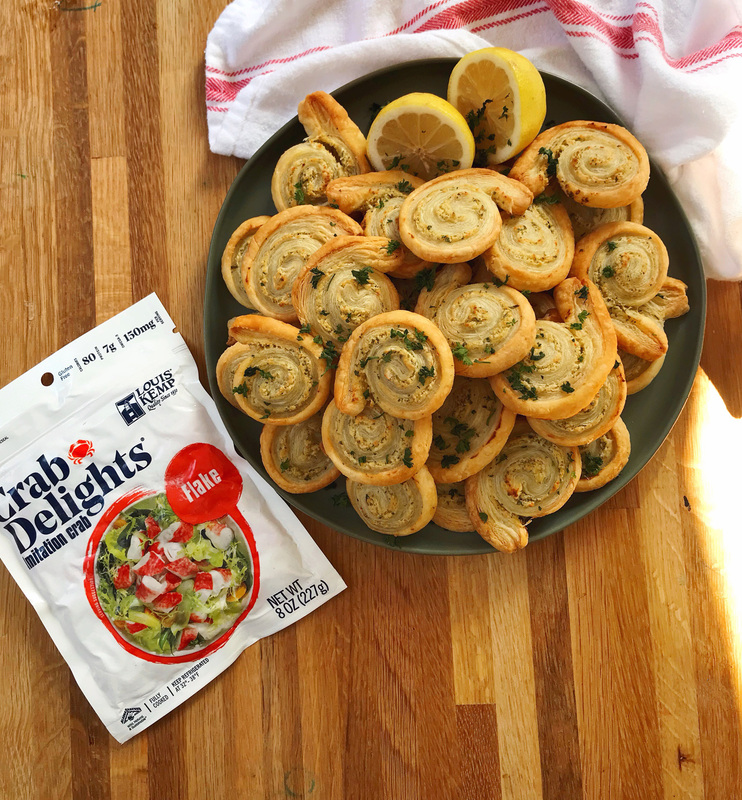 Garlic and Herb Crab Pinwheels. 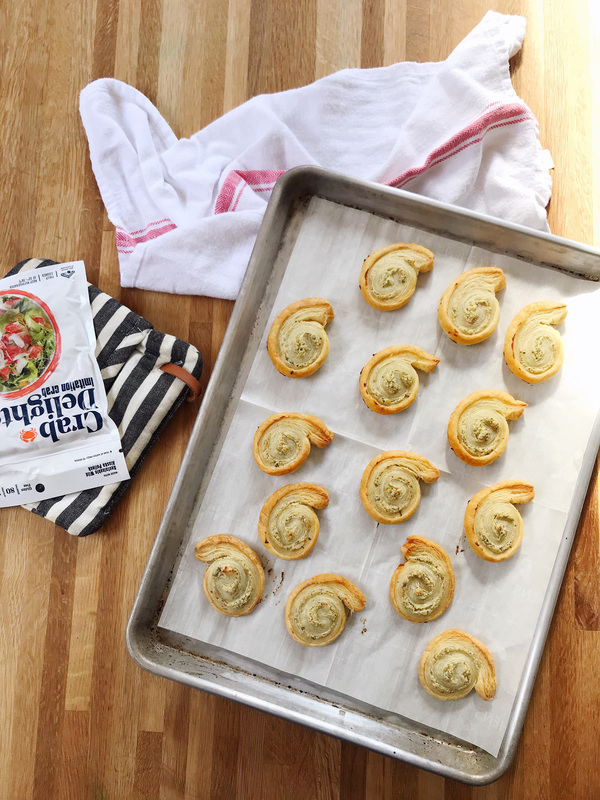 Preheat oven to 400 degrees and roll out the two sheets of thawed puff pastry onto a cutting board. 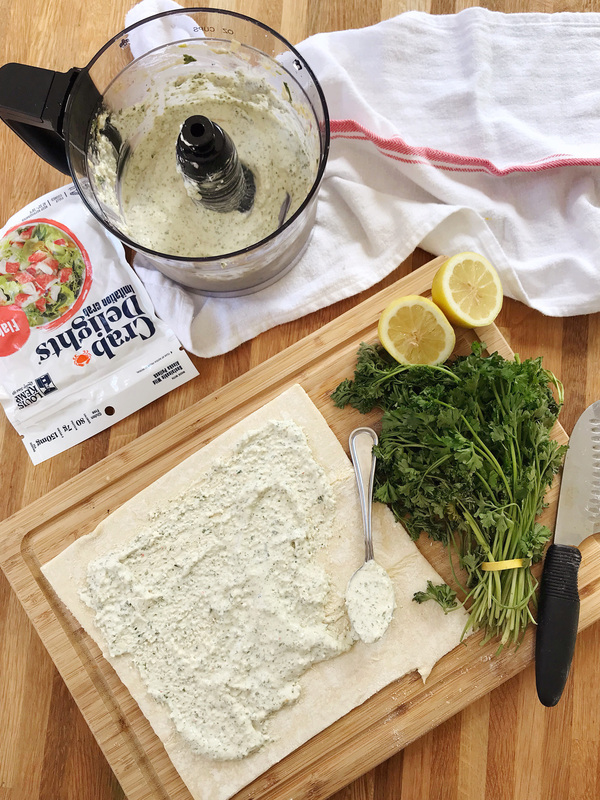 In a food processor, combine cream cheese, Louis Kemp Crab Delights®, lemon juice, scallions, parsley, Dijon mustard, Worcestershire sauce, and garlic. Pulse to combine for about 20 seconds. 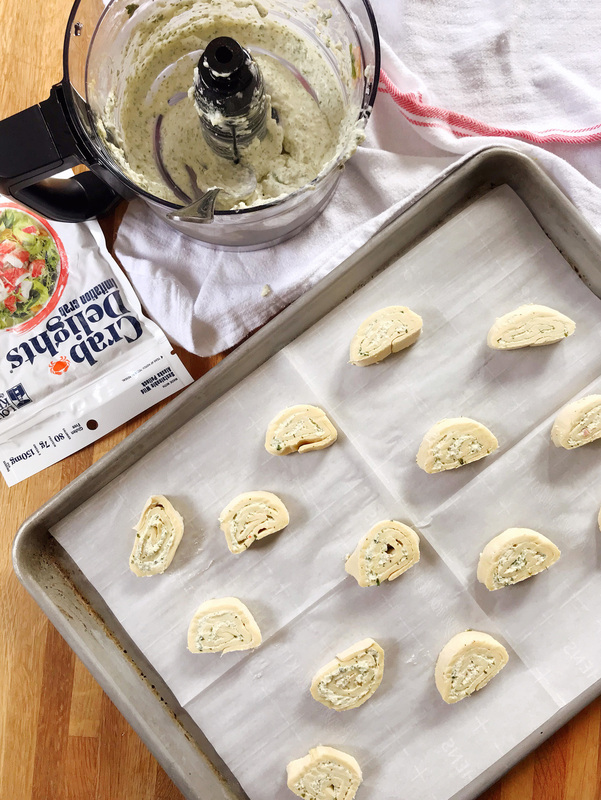 Divide the filling among the two sheets of rolled out puff pastry and spread evenly until coating the entire sheet, leaving about ½” border around the edge of the pastry to allow for sealing the dough. 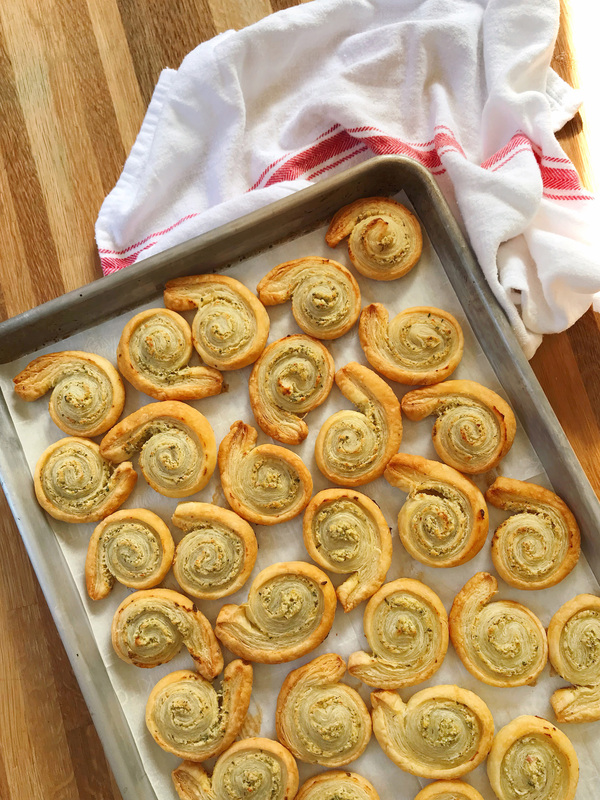 Lightly season with salt and pepper before rolling the filled pastry dough into logs. 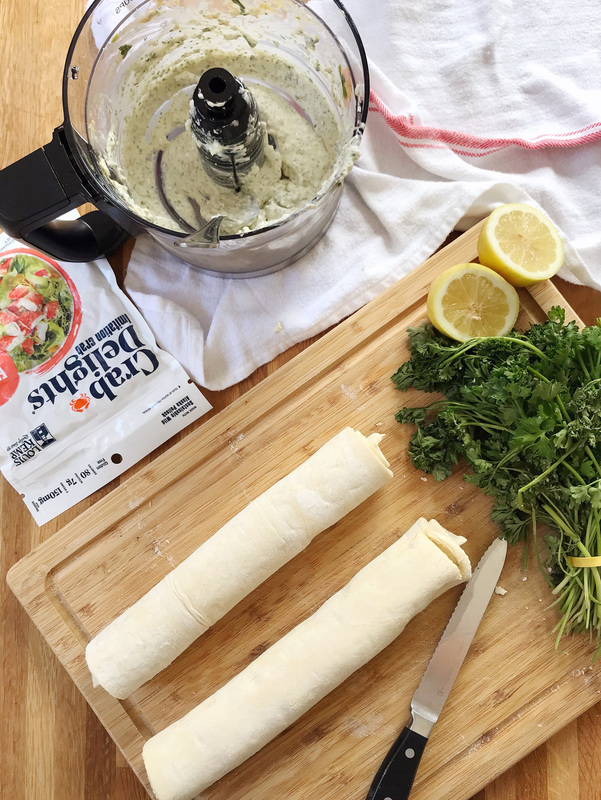 Transfer the rolled pastry logs into the refrigerator and chill for 10 minutes to make cutting it into pieces easier. 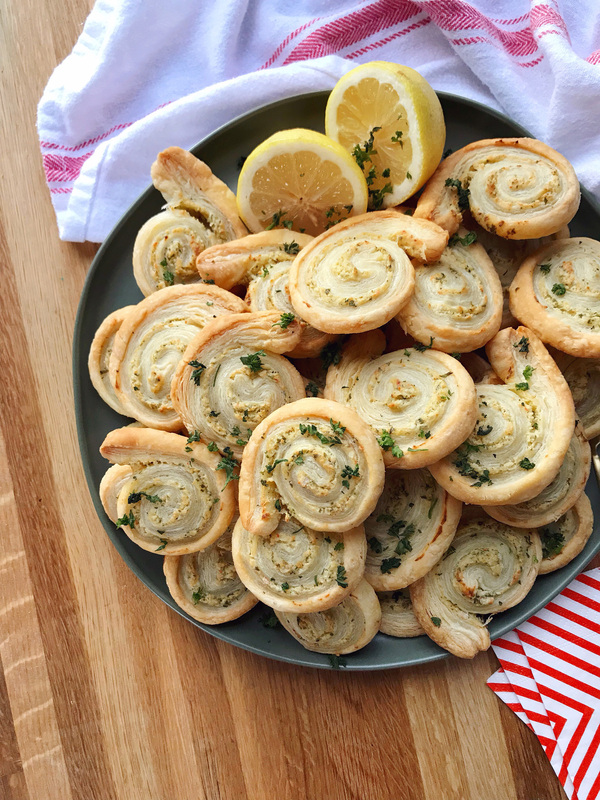 Slice the rolled dough into ½” thick pieces, and place them on a parchment lined baking sheet with the pinwheel shape facing up. Bake slices at 400 degrees for about 20 minutes, until puffed up and golden brown. Holiday Hacks with Better Homes & Gardens. A Rustic Holiday Tablescape.